This is where I post my thoughts and reblog stuff from other sites I find interesting or topical, mostly topics from Twitter, Tumblr and blogs. Mostly discussion in Scribblings in the past has tended to be about the story, characters, their relationships, the timeline plus various controversies in the fandom. – Lightly edited. Reverse chronological. Blurb: Samar killed one of Iran’s nuclear scientists and the Iranians are now out to kill one from the U.S. Liz is interrogating Tom on a rusty ship, and Berlin is about to receive a delivery which may alter his war with Red. Blurb: Red and Berlin head to Moscow looking for The Decembrist, who falsely blamed Red for murdering Berlin’s daughter. Alan Fitch tells Red he will be in trouble with his alliance (later called “The Cabal”) if he does not possess The Fulcrum. Red confronts Liz about Tom. Blurb: Liz is being framed for the murder of a U.S. Senator as The Cabal tries to stir up trouble with Russia. Red does what he has threatened for 20 years and Cooper gets a new prognosis. The Season 2 Finale. 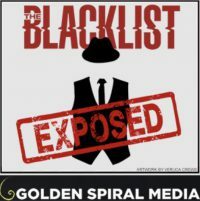 The glue that holds this show together is the mysterious relationship between Elizabeth “Liz” Keen and the enigmatic, irreverent Raymond, “Red” Reddington. The second season is better in many ways than the first. The bad guys are more realistic and the plot lines explore the realm of international politics and important domestic issues. The research into the background of the procedural aspects of the show holds up well, making it “educational TV” for an America naive about matters like neurobiological research, human trafficking, the “down” side of capitalism and the dangers of secret international agendas (electronic surveillance, the various threats to national sovereignty and insidious threats to security) that threaten democracy. Red’s values come into better focus as matters from his past turn out to have national and international implications.